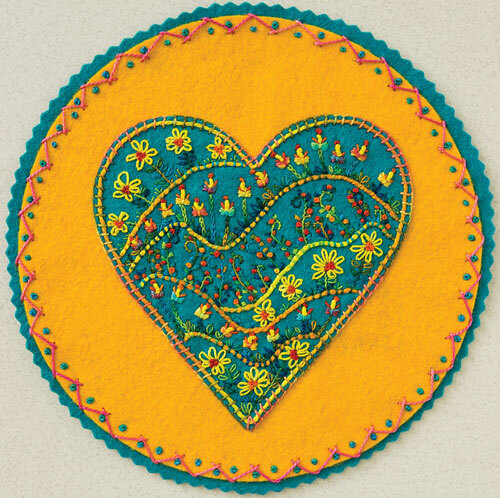 Love at First Stitch is a hand embroidery project on felt measuring about 8″ in diameter. 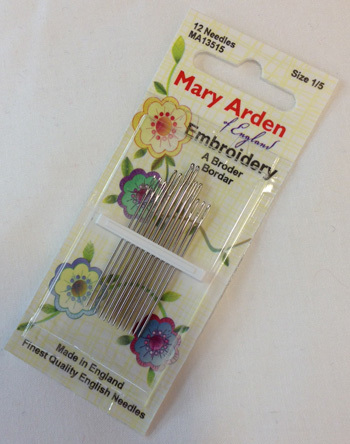 Step-by-step instruction for stitching the piece are found in Laura Wasilowski’s book Joyful Stitching. 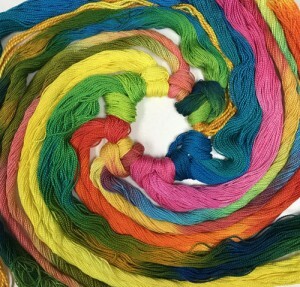 The turquoise and yellow felt fabrics are for the backing and background of the Love at First Stitch project. 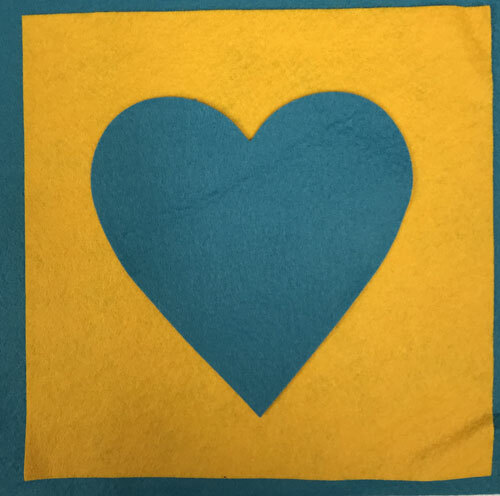 A pre-cut heart shape in turquoise is also included in the fabric kit.